Website design is an art. Your Web Page is the front door of your business as more people now refer to the internet to hook up with product and service providers. Give your potential customers a good first impression in order for them to take you serious. If your passion is blogging, we don't just design the blog, we also offer SEO optimization services to increase Search Engine Ranking for better traffic. Blogging is not about selecting a template and writing posts. Are you a blogger with great content yet traffic are not coming? Blogging is nothing if you are not seen – Itoro Obot, 2015. 1. Aesthetic: Does your website/blog have that sleek and professional look or does it look like someone is using it for test work? 2. Engagement: How engaging is your website/blog? When readers follow your link and land on your page, is it engaging and easy for them to stick around and open another page. 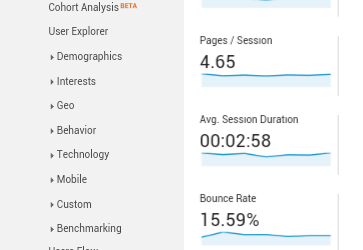 Working on this lowers your “Bounce Rate” and gives you better ranking. 3. Navigation: How easy can users find what they are looking for in your website/blog? 4. Color and design: Your website/blog must have a unique color, a distinctive logo and them to mark you out from the flay. 5. SEO and Search Ranking: You wanna get organic traffic from Google and rank higher? It doesn't matter whether Blogger or WordPress, we will put you on the first page. - Domain name registration, hosting and set up on GoDaddy, SiteGround, Bluehost, WhoGoHost, DomainKing, 1and1 etc. Whether your choice is WordPress or Blogger, we deliver to your satisfaction. ITY it's ur boy Miles. Keep up the good work.